Day 2: Breakfast drive to Pokhara. Evening Visit Fewa Lake. Evening Satshanga – Overnight stay Pokhra. Day 3: Transfer to Airport for schedule flight to Jomsom. Drive to Muktinath 20 km / 2.30 hrs. 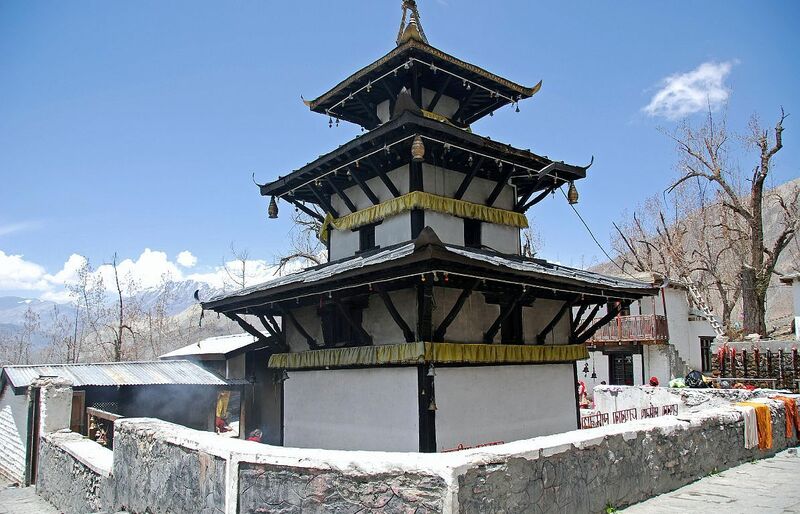 Arrival at Ranipauwa walks to Muktinath temple 30 Min. It takes 10 min if you go by motor bike (2 wheeler) to the main entrance of temple, arrive in temple, have holy bath on 108 waterspouts & 2 Kunda, Have Darshan and worship to Muktinath god walk to Jwalamai Temple and walk back to Ranipauwa and drive back to Jomsom by Jeep (2.30 hrs), Arrival Jomsom. Walk back to Hotel .Overnight at Jomsom. Day 5: After breakfast Drive to Kathmandu. 200KM on the way visit Manakamana Devi temple by cable car – On arrival transfer to hotel. Evening free for shopping. Overnight stay Kathmandu.